HAPPY INDEPENDENCE DAY! 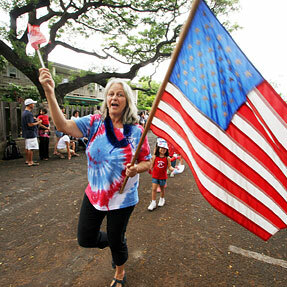 'Iolani School celebrated Independence Day with a parade yesterday. Kindergarten teacher Donna Revard waved the American flag as she led students in the parade.